Get a glimpse inside a multi-form project that asks pertinent, provocative questions about gentrification, capitalism, art, and community. 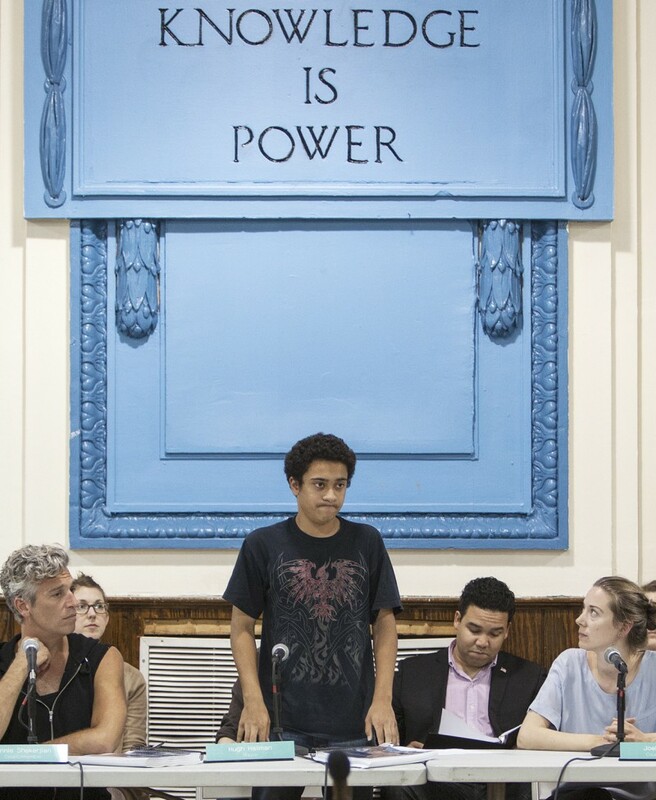 Created with and by young people from the Lower East Side in conversation with architects, urban planners, and artists, this work considers how we make our neighborhoods vital on our own terms. Aaron Landsman is a singular performance-maker, playwright, and actor whose work engages vital issues—from faith and suicide to empathy and public policy—across forms. Perfect City is co-commissioned and co-presented by Crossing the Line Festival and Abrons Arts Center/Henry Street Settlement. Development of Perfect City has been supported by a Princeton Arts Fellowship, a Stanford Arts Institute research residency, grants from the Jerome Foundation, Rubin Foundation, and The Graham Foundation for Advanced Studies in the Fine Arts. Perfect City is made possible in part with public funds from Creative Engagement, supported by the New York City Department of Cultural Affairs and the New York State Council on the Arts with the support of Governor Andrew Cuomo and Administered by Lower Manhattan Cultural Council.